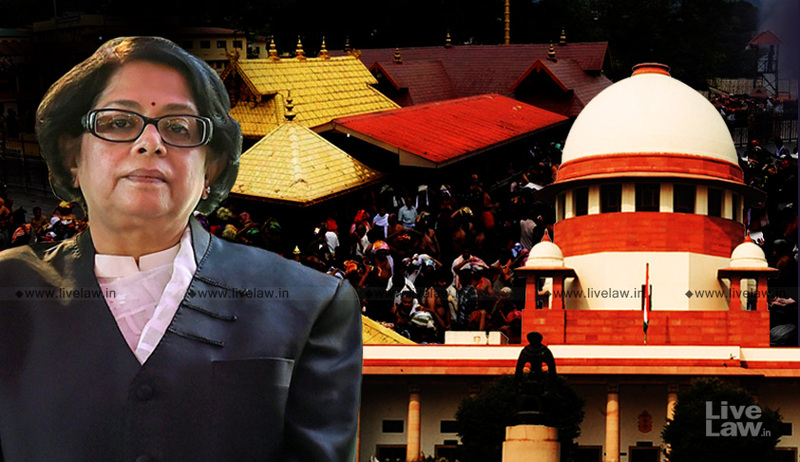 In a sharp dissent, Justice Indu Malhotra, the lone woman in the Constitution Bench which heard the Sabarimala matter, has opposed the entry of women of all age groups in the temple. She opined that issues of deep religious sentiments should not be ordinarily be interfered by the Court. The Sabarimala shrine and the deity has the protection under Articles 25 and 26 of the Constitution of India. Notion of rationality should not be seen in matters of religion.Court should not interfere unless if there is any aggrieved person from that section or religion. She expressed that India has diverse practises, and Constitutional morality in a pluralistic society should give freedom to practise even irrational customs. Religious practises cannot be tested solely on the touchstone of reasonableness in Article 14. Disagreeing with the majority, she went on to hold that Ayyappas enjoy the status of a separate religious denomination. "If there are clear attributes that there exists a section with identifiable characteristics, they constitute religious denomination", she observed.